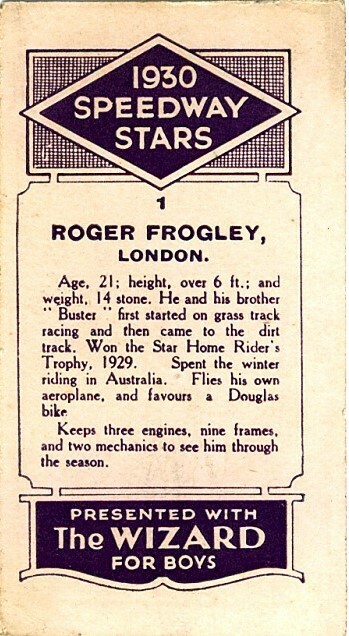 Roger was a big guy. 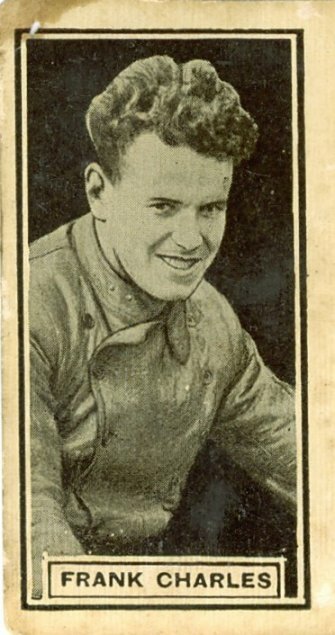 Over 6ft and weighing in at 14 stone he must have been great to watch wrestling on the low strung Douglas machines he owned. 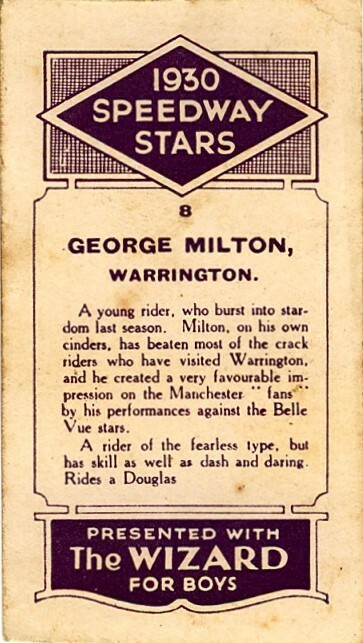 Smaller riders than Roger could control a Douglas much easier. 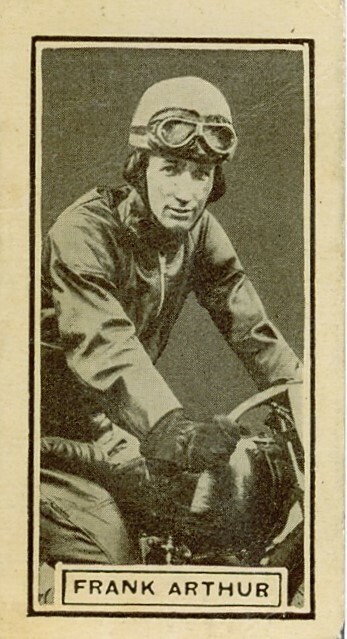 Frank Arthur shown aboard his machine of preference a Harley Peashooter. 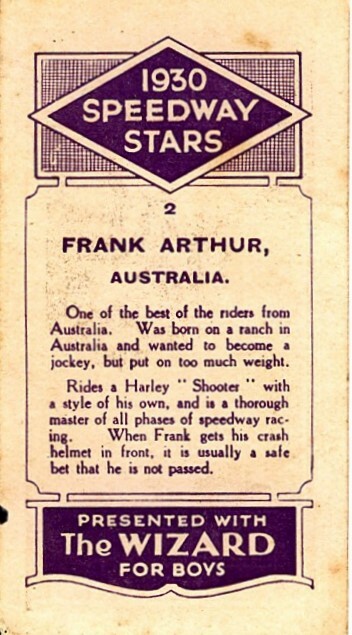 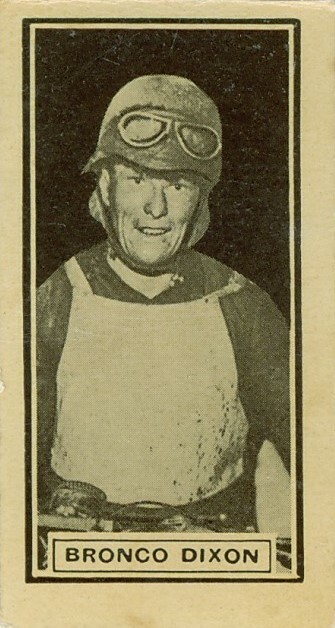 Too heavy to be a horse jockey Frank took to riding on wheels and accomplished much in speedway. 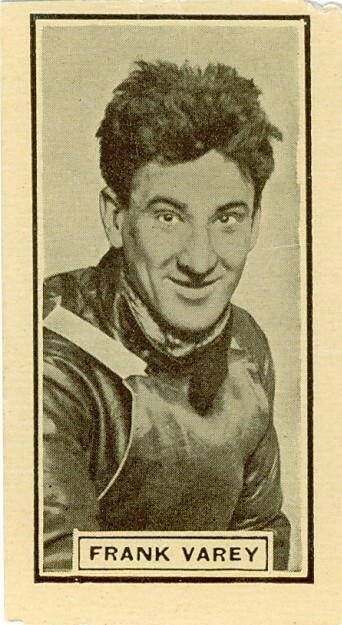 The card says Frank was called the "Death Devil" in Argentina! 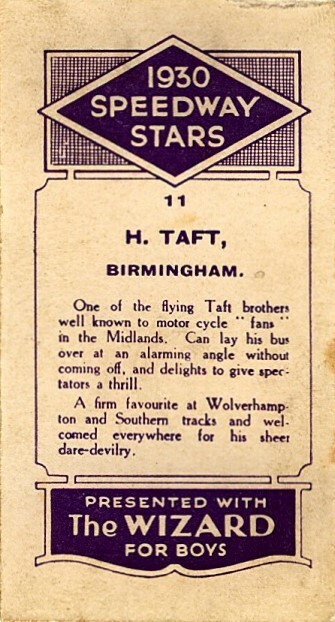 I don't know about that! 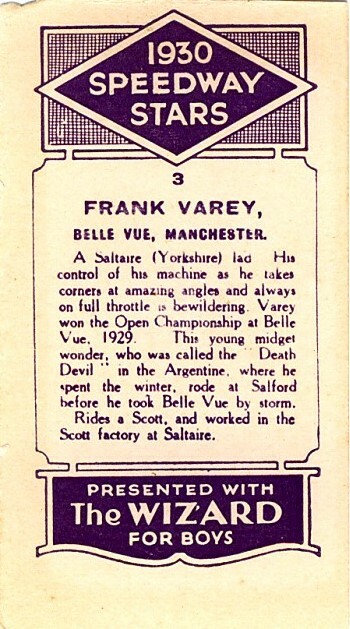 He rode a red Scott machine and often wore red clothing he was known as the Red Devil. 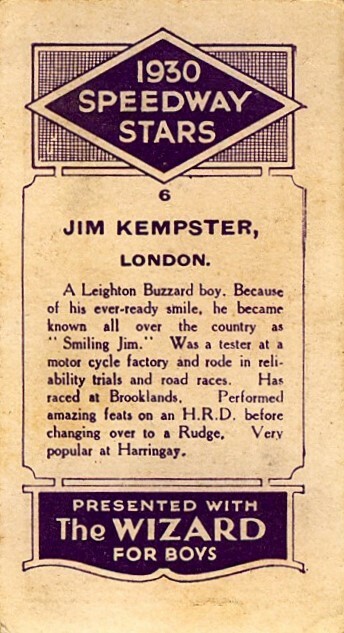 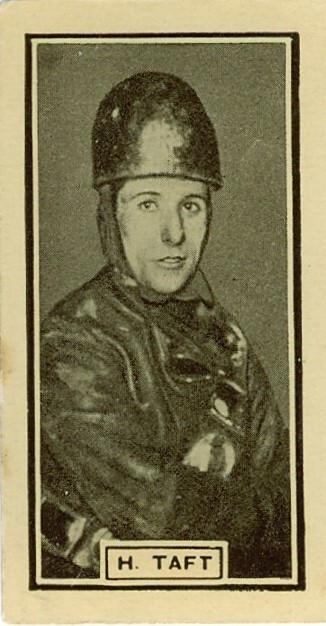 After turning in his riding gear Frank became a successful British promoter. 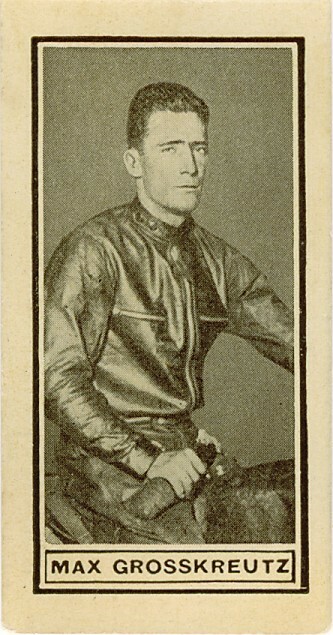 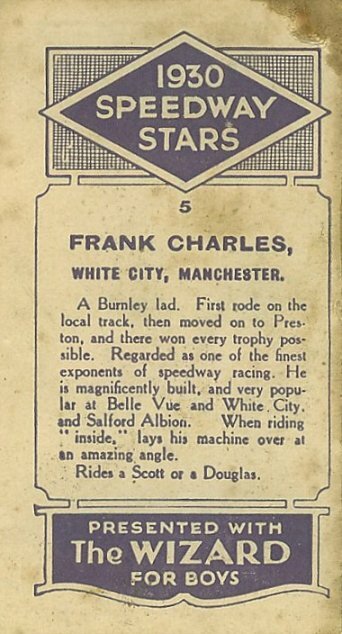 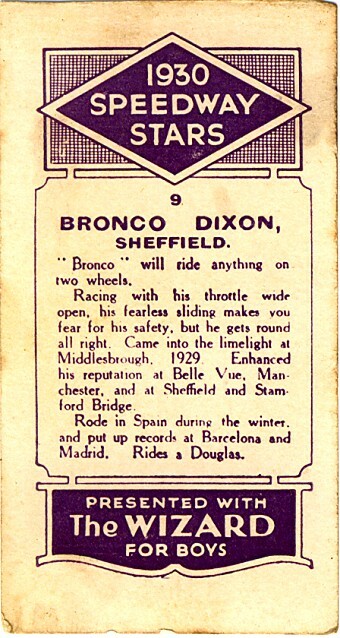 Frank rode both Scott and Douglas machines. 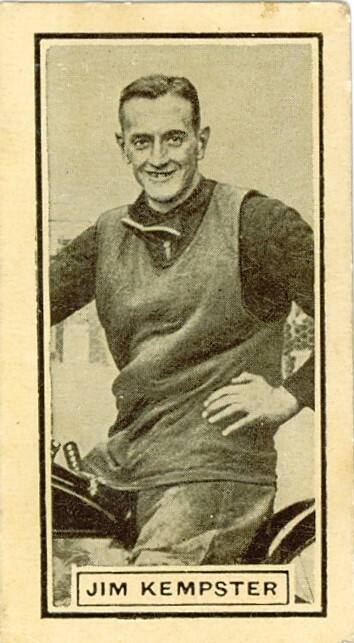 Both 500cc machines but the Scott was a two stroke. 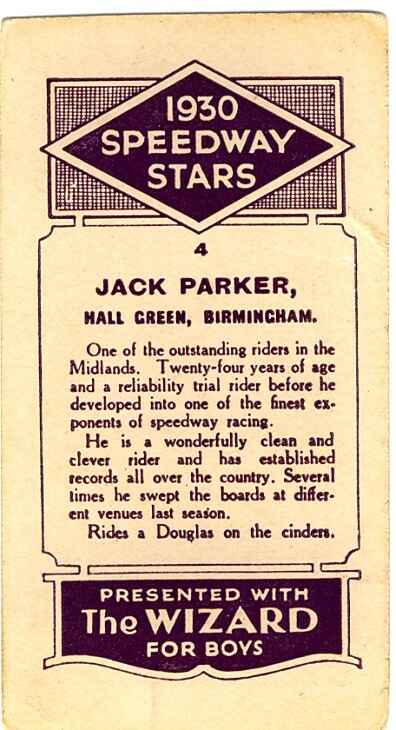 It would have been great to hear as two stroke engines were noisier than the Douglas and usually two strokes were smaller capacity than the racing 500 Scott. 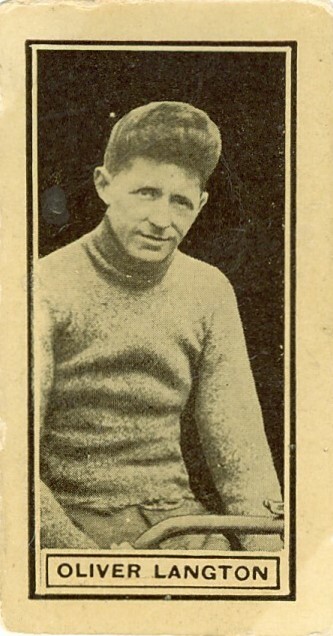 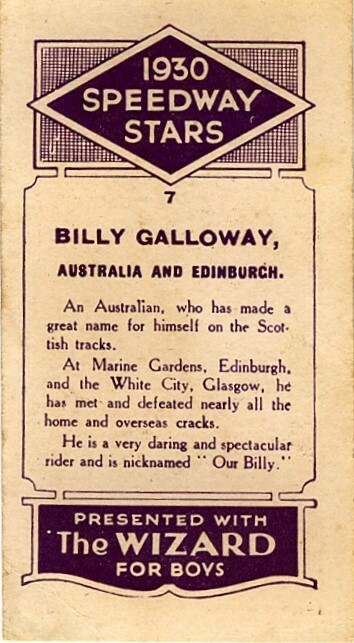 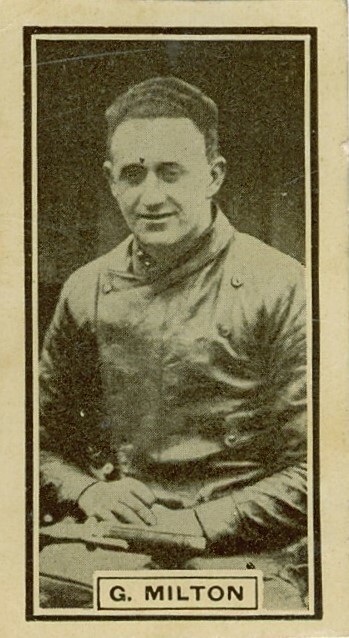 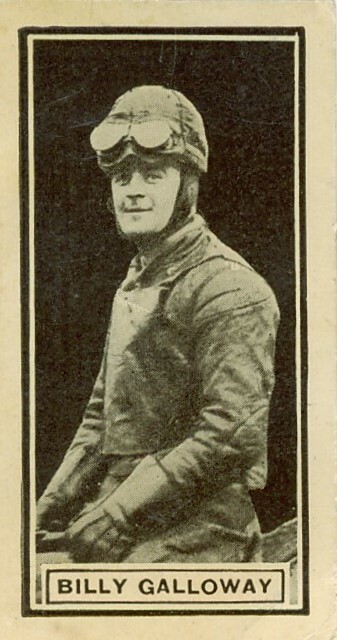 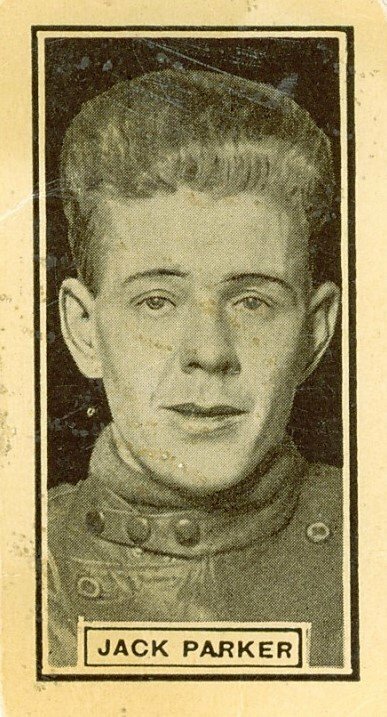 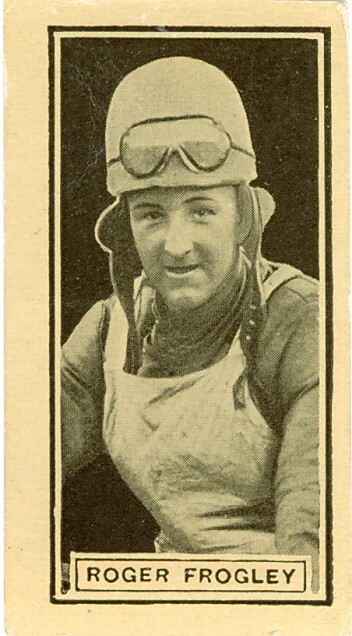 Scottish fans called him "Oor Billy"
Georges card like many others from 1930 ish refers to "Crack" riders. 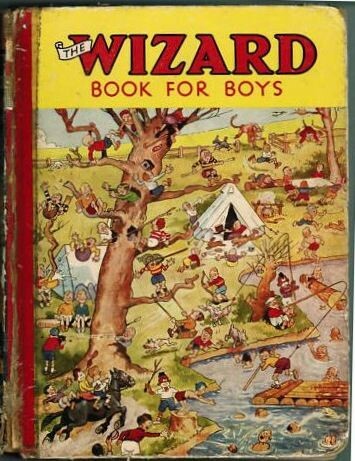 It's not a term we use now. 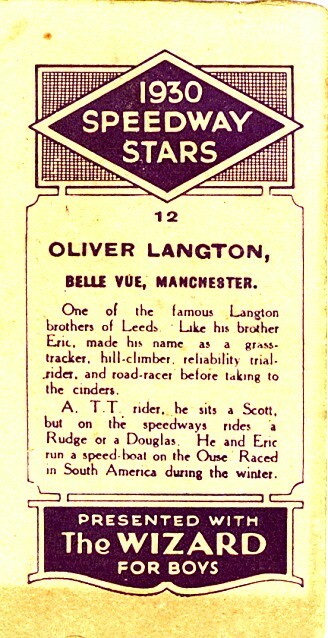 Oliver was the lesser known of the Langton brothers. 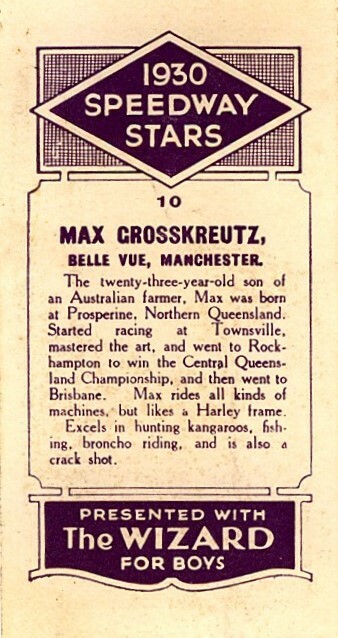 An all-round biker he and brother Eric also raced a speedboat as if motorcycle racing wasn't dangerous enough!.